Should You Get Dental Implants in Indianapolis if You’re a Smoker? It goes without saying that missing teeth can impact your life! Feeling self-conscious about your smile, avoiding your favorite foods or only being able to chew on one side of your mouth are all potential issues you may be dealing with if you’ve lost any teeth. So it’s natural to want the best possible replacement option to restore both your smile and overall quality of life. 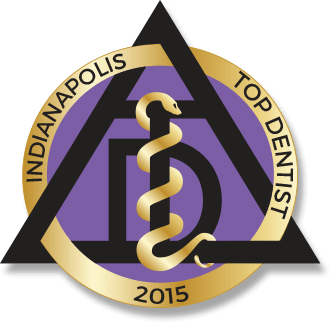 You may have heard that dental implants in Indianapolis are the best solution because they’re stronger and more natural looking than other options. But what if you’re a smoker – can that affect the success of an implant? In this blog, we’ll answer that question and review the general implant procedure so you can make an informed decision about what’s right for you. 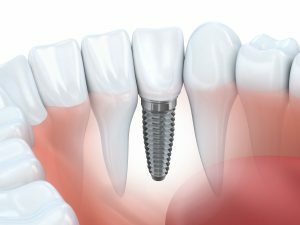 A dental implant is a titanium post placed in the jaw that acts as a replacement root of the tooth that was lost. This “root” is what gives the end result such unparalleled strength and stability. Placing the post in the jaw requires a small surgery, before which you’re given local anesthesia. Many people report that this part of the process is relatively painless and no more difficult than getting a filling! Once placed, the implant is given 3-6 months to fuse with the surrounding jawbone. This part of the process is critical to make sure the implant is solidly in place. A crown is attached to the implant after it’s healed to complete the restoration. The crown is matched in color and shape to the rest of your teeth so it looks and feels completely natural. How Does Smoking Affect the Success of Implants? Unfortunately, smoking can interfere with your body’s ability to heal. Since the success of an implant largely depends on how well your body heals during the 3-6 months after it’s placed, smoking can reduce the chance of success by a significant amount. In one study, the implant failure rate in non-smokers was estimated at about 1.4%. In smokers the estimated failure rate was 15.8%. Dentists recommend that you stop smoking before undergoing the procedure. Thankfully, there are many resources available today to help with smoking cessation. Quitting isn’t easy – but it is worth it! The first step is scheduling an appointment. After a consultation and exam, your dentist will be able to tell you if you’re a good candidate for a dental implant. There’s no question that implants are a worthwhile investment in your quality of life. However, we take every factor into account to make sure you get the best result possible! Dr. Mark Farthing and Dr. Armin Tepner are general, cosmetic and restorative dentists who have pursued extensive advanced education so they can offer the best in modern dentistry – including implants. They always want their patients to have a successful experience and make sure to educate them on the risks and benefits of every treatment plan. They can be reached via their website or at (317) 898-3384. Comments Off on Should You Get Dental Implants in Indianapolis if You’re a Smoker?